Who thinks this song is the BOMB for dancing on SKATES? Get UP and Do YOUR THANG!!! Lots of good songs like this that are not played at rinks. They tend to play the current pop 40 even if they are lousy for skating. It is the beat that makes it good. You can do it normal time or speed up and do it at twice the beat. Disco was not my generation. I wish it was. But when I first learned to skate at a rink that's the music they played and I instantly LOVED it!!! It's good clean fun music to dance to and I think if they played it more at the rinks, even this generation would love it!! I wouldn't know any of the top 40 songs because I don't listen to today's music. I don't know who wouldn't dance if they heard these songs!!! Those are awesome tunes for skating. But don't discount the current top 40. Try Chunkin by Bruno Mars. Oh yes, slow songs are awesome for skating as well. Whatever they play just skate. I don't thing any artist of today though can quite replicate those songs from back in the day! I don't think any artist of today though can quite replicate those songs from back in the day! Have you heard this one. An instant classic. Even top 40 stations are playing it in Houston. Disco was not my generation. Disco was my generation and was in the rinks in the late '70's when I started skating. 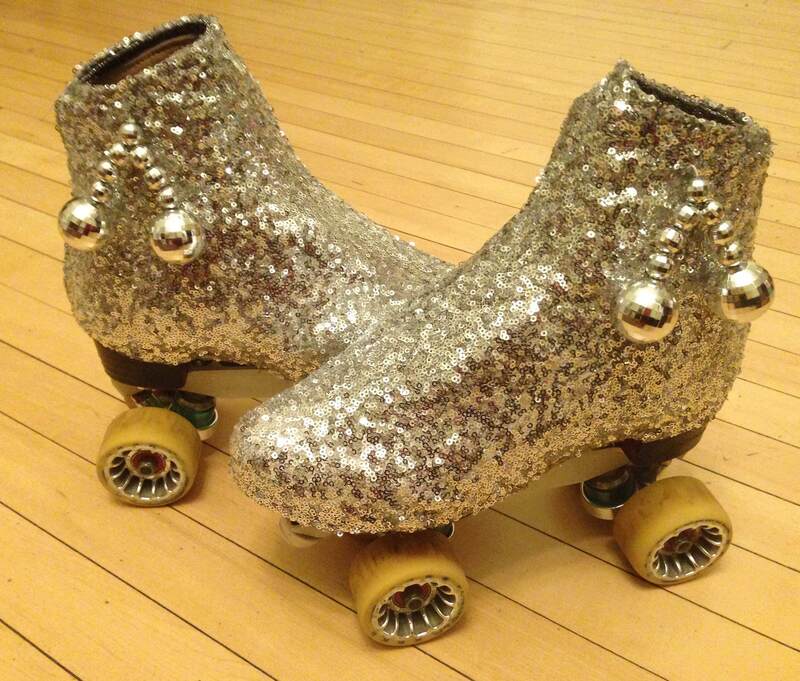 Friday nights are our old school, funk and disco nights at the rink. Tuesday nights work better for me but occasionally I get to go on a Friday. I went last week and dressed from head to toe in sequins! I wore a vintage 80s sequin butterfly shirt, a black sequined miniskirt, black sequined wrist guards, tights, and silver sequined boot covers that I made just for that night! It was a blast. I also love skating to the Barry White song you posted. I think you may have taken my crown for most unhibited skater. They play this at my local! I don't know what I'm doing but I try to do it stylishly. Yep, I’m usally in tie die or some other fun or festive t-shirt. I skate every song intrpreted to what I feel the writers intensions were. That’s why I say,”If you don’t want to see the old man skate i, don’t play it”. Some think I’m crazy others think I’m fun. . I thunk it’s crazy fun. I prefer The Notorious BIG, and various other similar ecultural enticements.